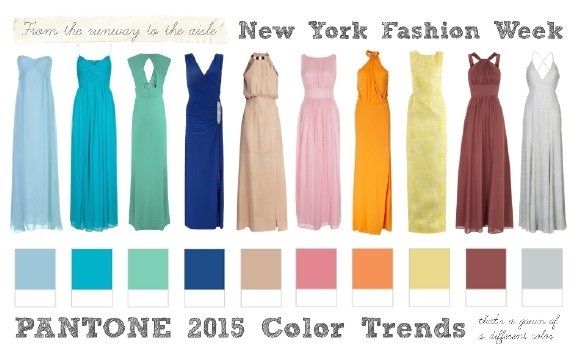 The Fashion Gods of the world have spoken for colour trends for Spring 2015. I have found some lovely ideas to suit this set of luscious colours for wedding themes in 2015. Hopefully this helps you make some decisions on colour themes and you can now get some sleep … Not to mention the different styles of dresses for bridesmaids, seems floor length style is in. Hopefully you find these colour scheme ideas helpful! Share with us what colour you decide on! We would love to hear from you!